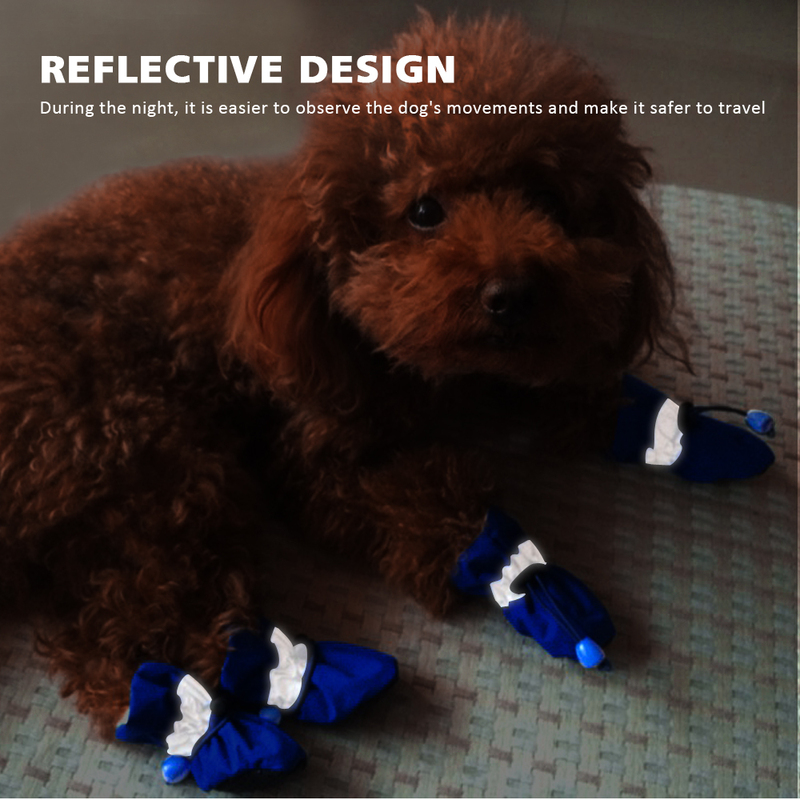 Reflective design: Makes your pets safe in the dark. 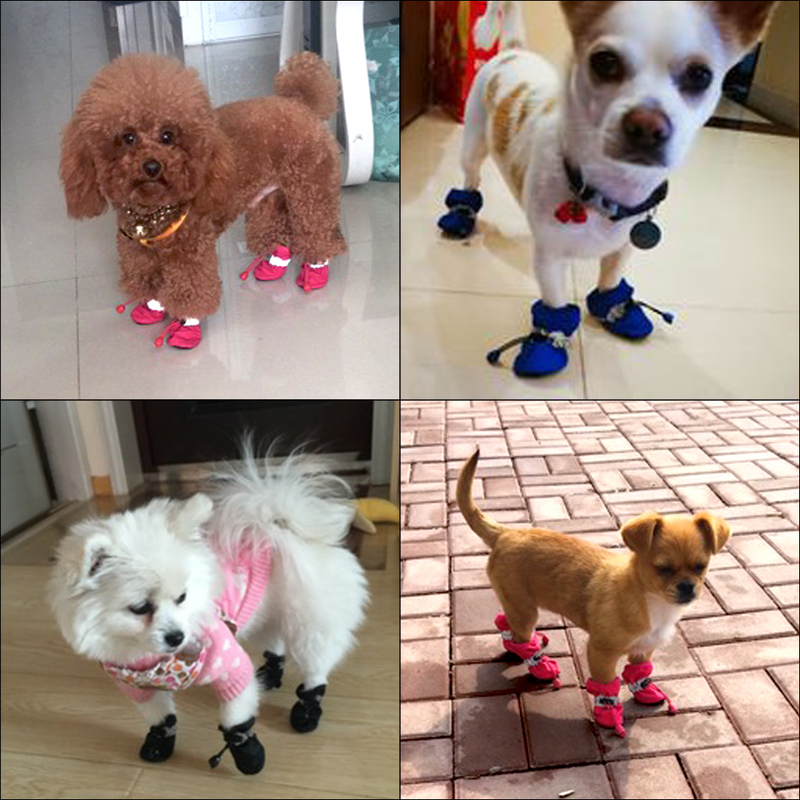 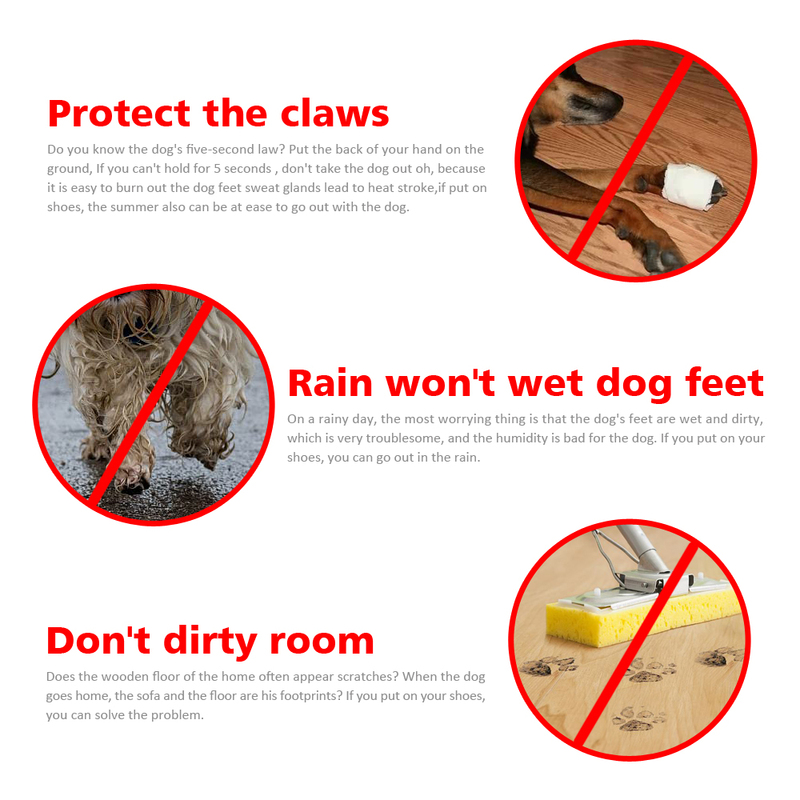 Waterproof design: Keep your dog’s feet dry at rainy day that won’t stain the floor. 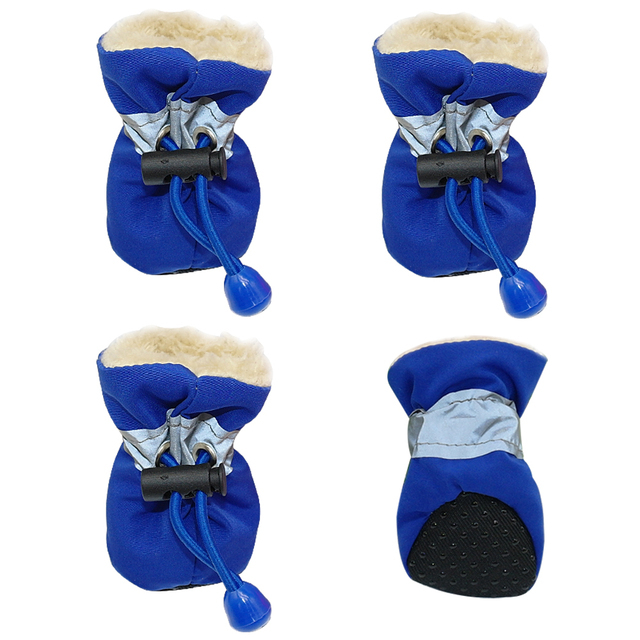 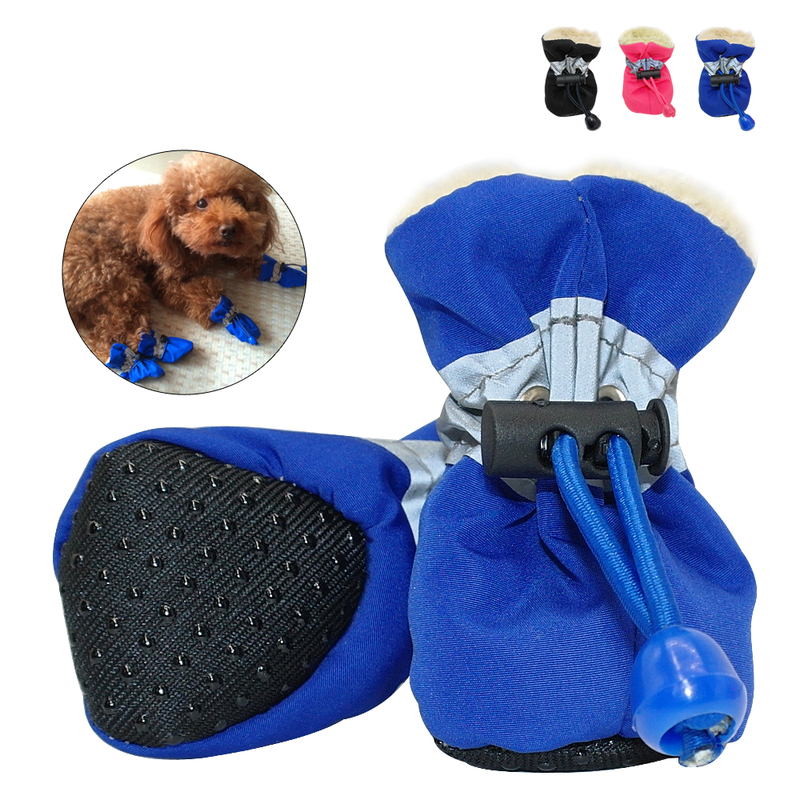 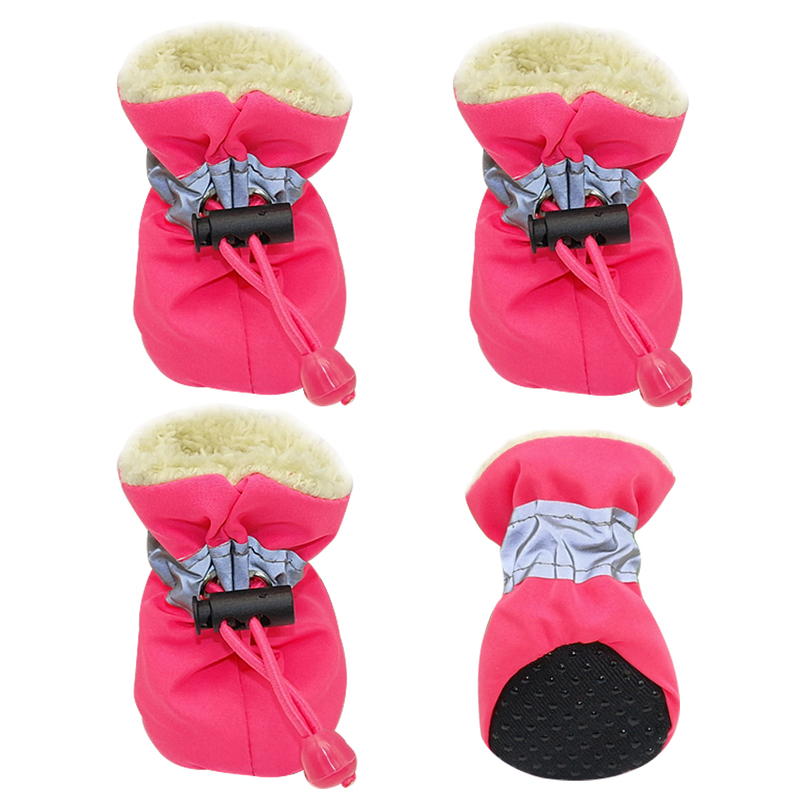 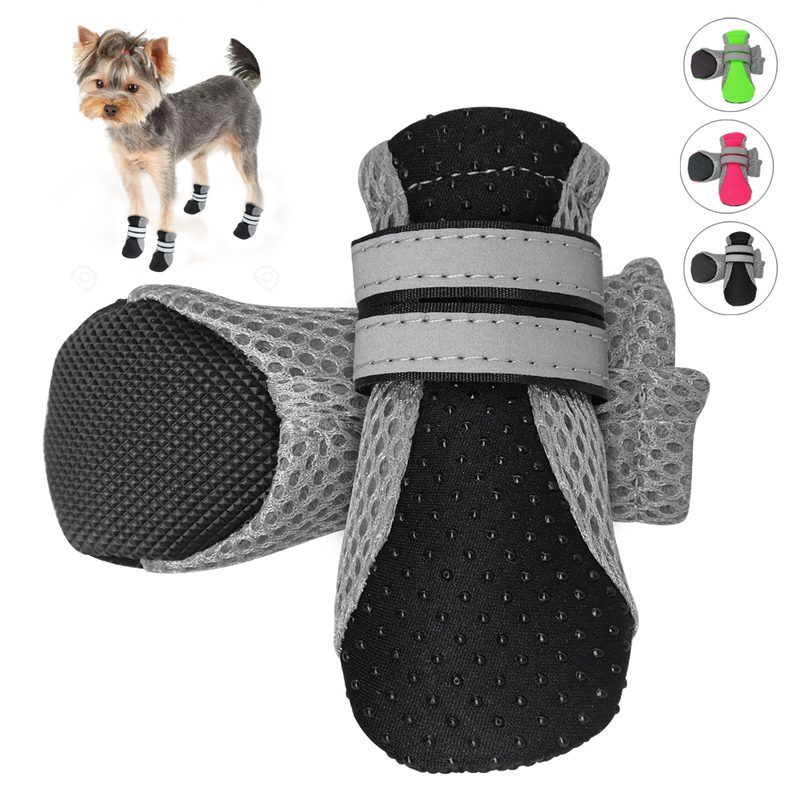 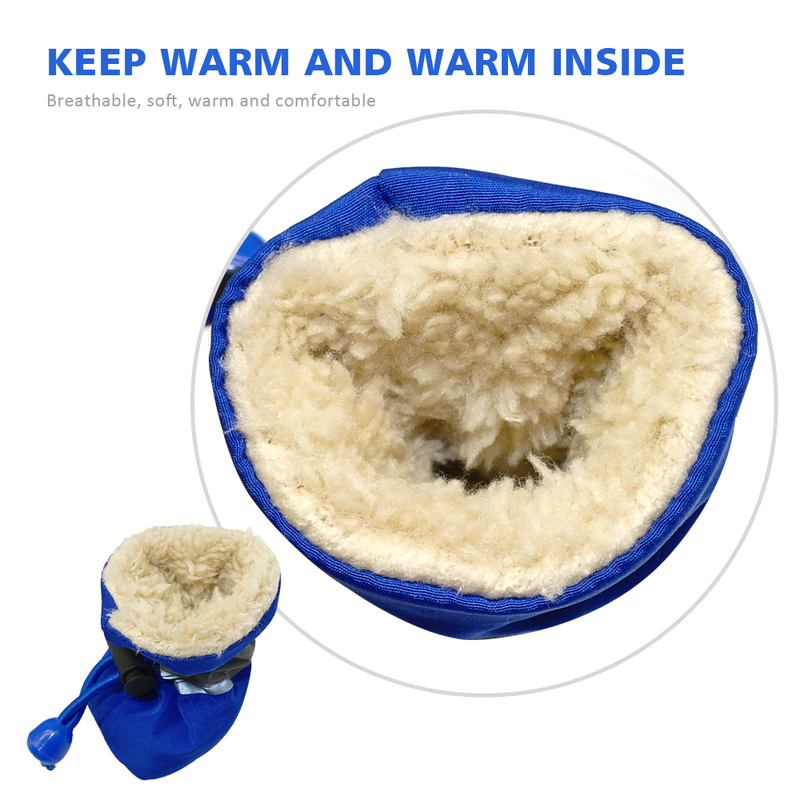 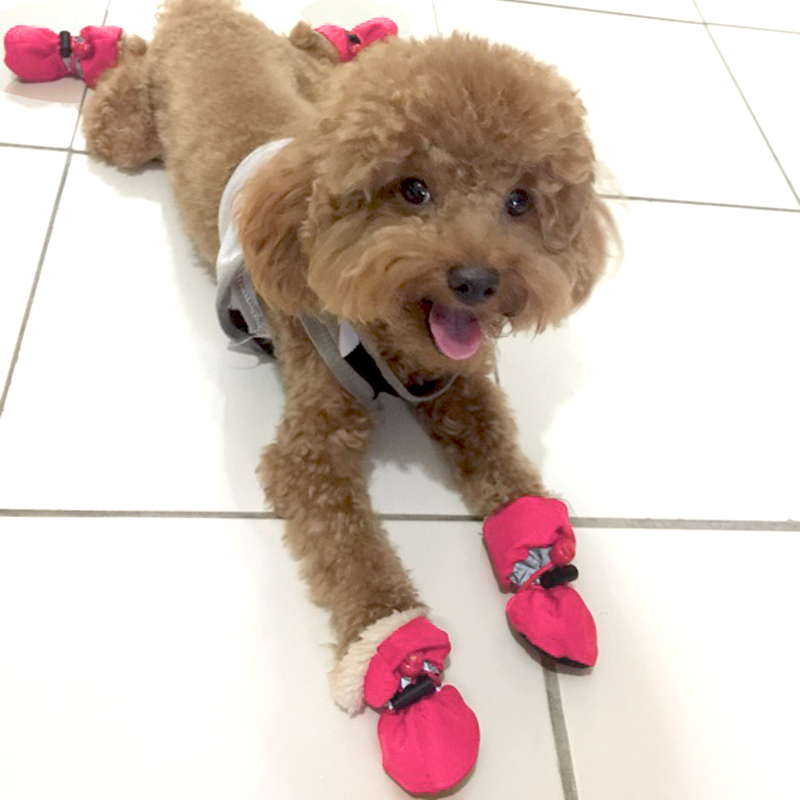 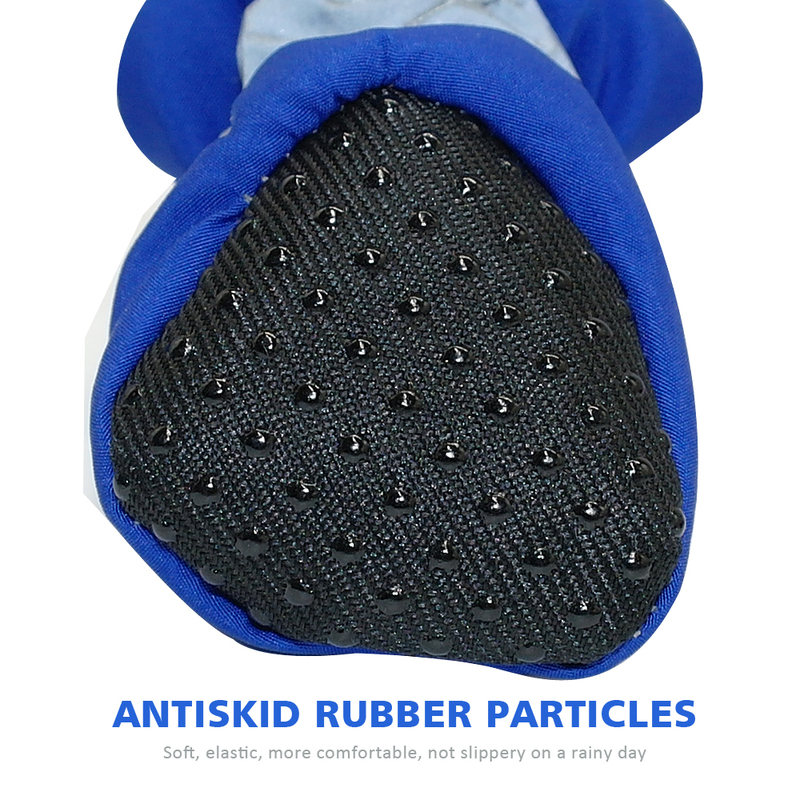 Soft padded: Keep your dog’s feet warm in winter. 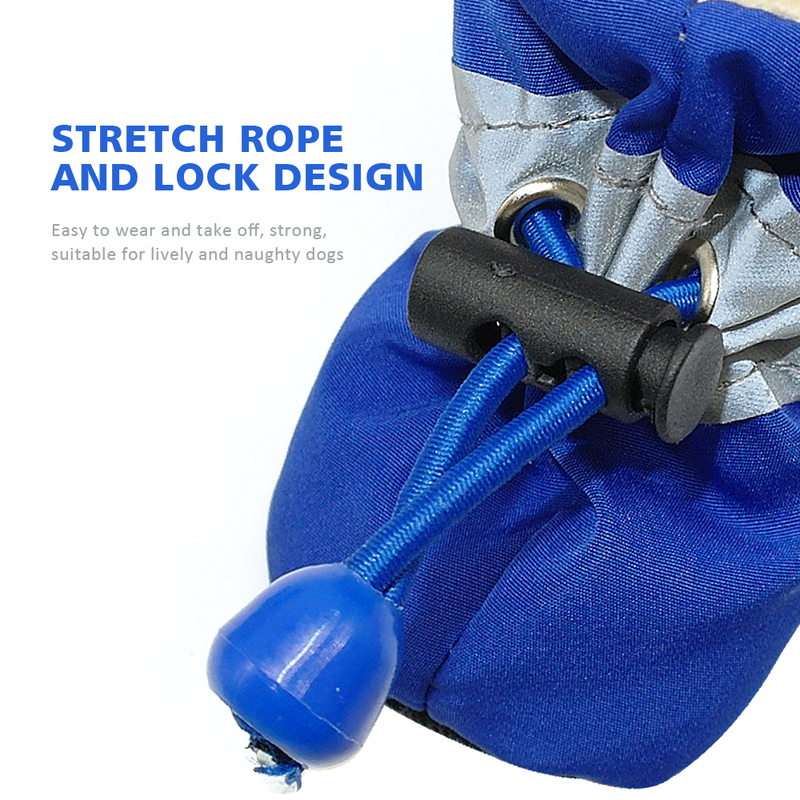 Adjustable lock: Easy to wear and take off. 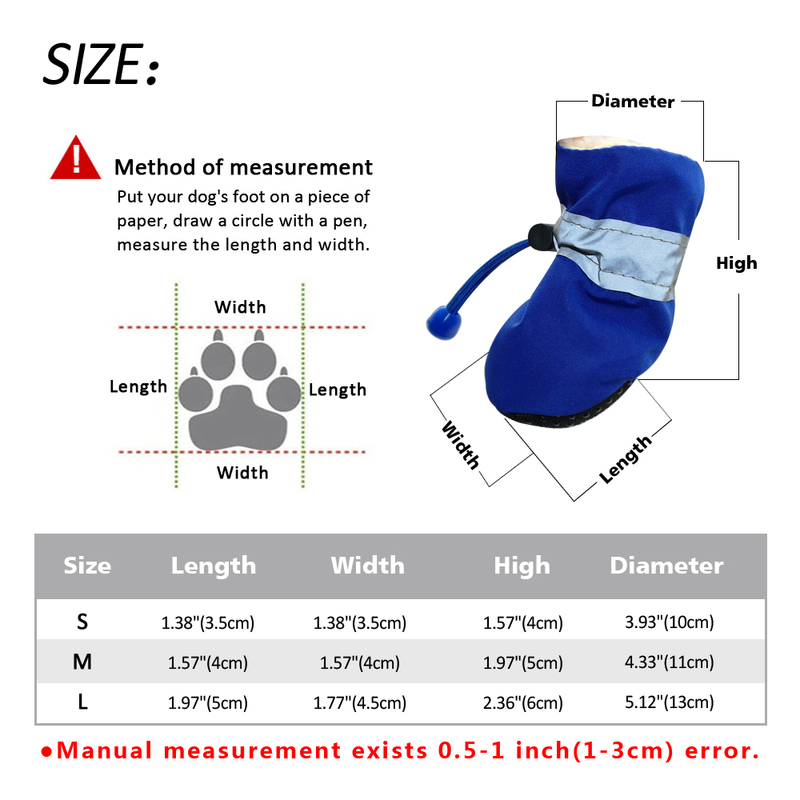 Note: Pls don’t forget to measure your dog’s feet size before you place the order!